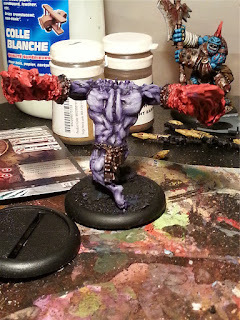 Legio Minimus: Trollbloods WIP...Dire and Pyre Trolls! 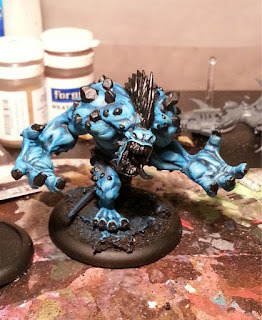 Now that the Warmachine/Hordes starter sets are finally complete I can focus on the one Hordes army I really want to work on, and that is the Trollbloods. Over the last few months I have managed to amass around 40pts of the mighty trolls (roughly 25-30 models). Right now everything is built and based so all they need is a fresh coat of paint and they are done. 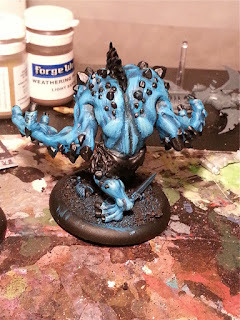 A bunch of friends in my gaming group is doing an Escalation league down at our local store and the first round of games is just 15pts with only casters and warbeasts/jacks. So, with that in mind now that my Axer is totally finished I figured it was time to start working on the other beasts. 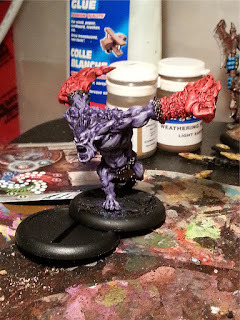 The thing I am loving about these guys is they are still looking decent (will look considerably better when done obviously), they are super fast and most importantly they are super fun to paint. 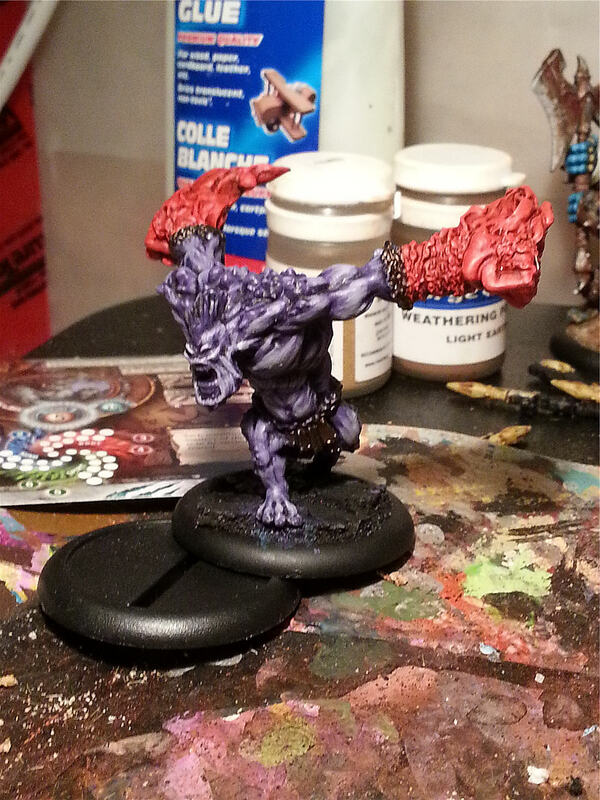 I am going for the "codex" look on this army which is why the Pyre Troll is purple. I am going to do a fair amount on work on the fire including some object source lighting. Next Up: I will keep plugging away on these ice crapping snow honkeys so hopefully in the next week I can post some finished pics. After that I will be doing some more new units for the Trolls as well as some thoughts on the new Eldar Codex plus a whole bunch of new Eldar models!